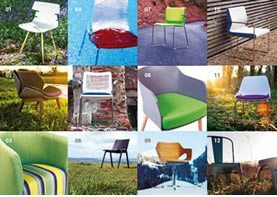 When asked to design a range of fun, funky and flexible furniture for an office ‘break out’ area, we did just that. Our Circle and Cubes offered a highly effective solution. 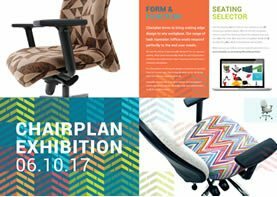 Chairplan took a minimalist approach, scaling back the design, keeping everything as simple and functional as possible. The use of the strong colour and patterned material allowed the consumer to express their desired personality. Our original thought process was to allow the end user to “express themselves”. We encouraged them to create a stylish, unforgettable atmosphere that is as funky or corporate as they wish. 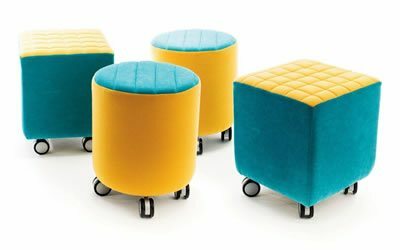 The simplicity of the Cube and the Circle meant that they were playful enough to make a great and memorable impression to liven up any room. They could also be serious enough to meet corporate requirements for ‘break out’ areas, ‘concept and ideas’ areas, or ‘speed meeting’ areas. The Circles & Cubes are a perfect addition to give any environment personality. The original concept worked (and continues to work) really well and the feedback has been tremendous. However, we didn’t want this product to stand still, in more ways than one. We carried out research and from our various discussions with both our client base and suppliers; we gleaned some extremely useful information to help further the product. Therefore in order to develop the Circles and Cubes we have added a couple of small design twists. The foam detailing on the seating area has been added for style, definition and comfort. The sharp sewn lines work perfectly with the exterior vertical and horizontal lines. This visual tactility attracts the eye and makes the seating experience even more pleasurable. In addition we have also added a very exciting range of new material textures and colours to chose from. To really bring the Cubes and Circles to life, we have given them the ultimate expression of freedom – movement. The casters have enabled even greater flexibility, use and movement for our consumers. This has increased the element of fun and funky to a brand new level. We absolutely love this new element to our range of Circles and Cubes, from the reaction of our customers, so do they!